Now in its 37th season, North Coast Repertory Theatre has grown from a community theatre to a nationally recognized non-profit professional regional theatre. The Theatre School @NorthCoastRep has grown along with it. 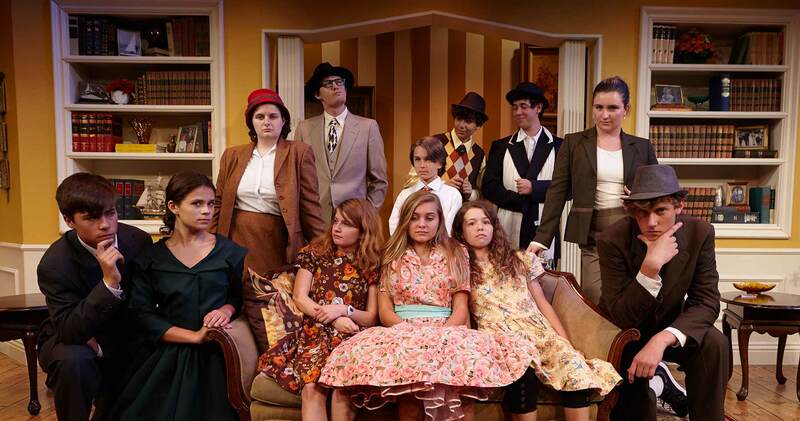 From a single children’s play put on during the first season, the Theatre School now stages five productions annually and reaches nearly 2000 students per year. The Theatre School provides classes, workshops, and summer camps, operating throughout the year in North County San Diego. The Theatre School offers quality arts instruction and training to local students ages 4-21. Theatre School Director Ben Cole strives to make that training as accessible and inspiring to students as possible through full and partial scholarships to economically challenged students. The Theatre School teaches skills that promote a lifelong passion for the arts whether students seek to pursue a career in theatre or simply to apply the confidence and creative self expression they have gained to excel in any profession. The Theatre School @ North Coast Rep encourages young people to explore the adventures of live performance so they can further understand and appreciate it as an art form. With this foundation, we are dedicated to educating future theatre professionals in the highest standards of the most essential elements of theatre, and inspiring students to become lifelong theatre supporters. Our Theatre School offers students the skills and confidence they need to excel in any profession. Our vision is to offer classes, productions, workshops, and training designed to educate students, and enrich their appreciation of diverse cultural and theatrical experiences. We strive to challenge students to go beyond basic training, and take ownership of choices and personal development. We strongly support student’s freedom of expression, and inspire exploration of creative release.